Credit cards continue to suffer bad press as the cause of debt problems for many in every sphere and demographic. But the truth; is a credit card doesn’t put you in debt; you put you in debt. In fact, a good credit card used wisely can do quite the opposite. It can save you money and help you out of a jam. There are more benefits to owning a credit card than people realise as many are quick to dismiss it as the tool of profit driven banks to rake in more money from you. Here we tell you how your credit card can do you much good – if you use it well. Carrying a credit card around with you would mean that there is no need for wads of cash that make you the perfect theft target or to go frantically hunting for an ATM where none can be found. Your credit card will always have your back. But that’s not all; carrying a credit card also helps in times of emergencies. For instance, in the case of an accident, your credit card will come in handy to pay for any medical care for yourself or repair work on your car. The credit card also ensures that your losses will be minimised in the event of a theft. A wallet full of cash cannot be retrieved but a credit card can be instantly cancelled and rendered useless to the thief. Having no credit history can cause difficulties when you attempt to apply for a loan. If you have not borrowed money before, potential lenders will find it difficult to judge if lending money to you is worth the risk or not. When used responsibly, credit cards help establish and boost your credit scores which can be very valuable if you ever need a long-term loan or credit. Just keep in mind to always pay your credit card bills on time, as failing to do so the opposite of what was intended. Most credit cards offer rewards when used. There is everything from rewards points that give you a shaving kit to airline tickets and cold hard cash. It is akin to paying you to simply use your card. Of course, do remember to pay your bills on time and in full as the high interest rate on a credit card will negate any benefit you accrue if you are a tardy paymaster. Without a credit card, it is unlikely the internet shopping realm will be as successful as it is today. 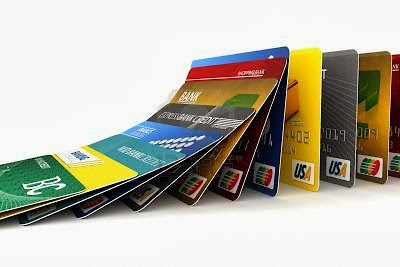 Owning a credit card now opens the world up to you as one, large shopping complex. For many in Malaysia, it means being able to purchase items you ordinarily won’t be able to find here. The convenience is unparalleled but beyond that; it’s made any kind of hobby or interest possible as the items you require are easily available. Having a credit card can offer many benefits to the user who is savvy in utilising it. Just make sure you do not carry a balance and you’ll find a good credit card will actually save you money. This was brought you by Matthias Sim from RinggitPlus.com. RinggitPlus compares credit cards, balance transfers and personal loans to help Malaysians get more for their money. try this UOB One Card..
5% rebate on petrol on all statsion! If you use BHP get another additional 2%.. I heard about that before. So far, UOB is one the best cards for petrol rebates.